Another month, another playlist! This is one of my very favorites, and I listen to it not only at the gym, but in the car, at home...everywhere! If you only listed to one song - listen to #2. I'm obsessed!! HERE is my November workout playlist, available for free on Spotify. 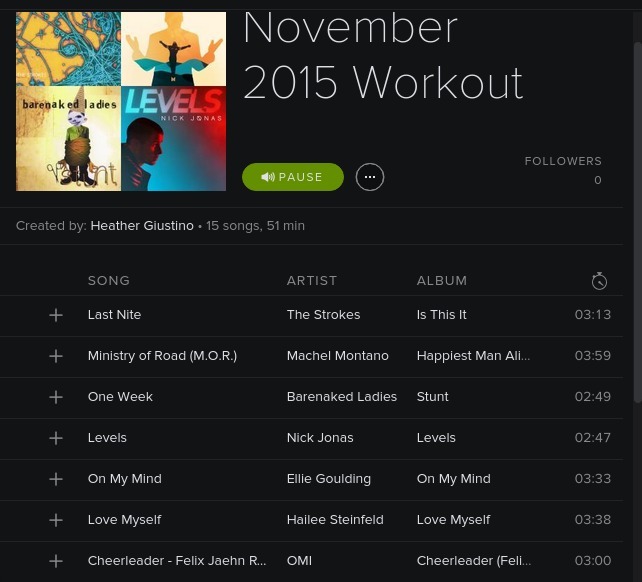 A collection of current hits, and past favorites to help keep you going during your workouts. You can find my past monthly workout playlists HERE. Enjoy!